Aviation Updates Philippines - An Airbus A321-200 of Philippine Airlines from Nagoya, Japan to Manila, Philippines emergency landed at the Ninoy Aquino International Airport after the two pilots declared an engine problem on its right hand engine while descending through about 8000 feet MSL towards Manila. According to the Manila International Airport Authority, the two pilots declared an emergency status at around 1 pm on Friday. The aircraft, which was the first Airbus A321-200 of the airline, landed safely at 1:22 pm. After declaring the emergency status, the Airport Authorities immediately dispatched its Fire and Crash team. The cause of the emergency landing was the technical problem encountered by engine number 2. 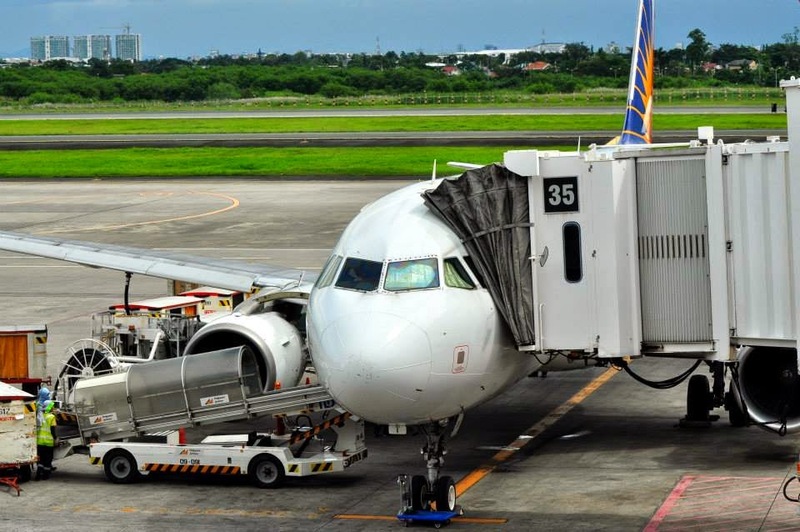 "Aircraft have the capability to fly with one engine and our pilots are fully trained and have the technical expertise to handle such situations," Philippine Airlines President and Chief Operating Officer Jaime Bautista said. The 199-seater Airbus A321, which departed Nagoya at 9:42 local time, was carrying 154 passengers and 8 crew members. The A321 aircraft was piloted by Captain Mercurion Fernandez and First Officer Ryan Surla.